March 6, 2015 | Comments Off on Forza Horizon 2 – we’re in it! Forza Horizon 2 – we’re in it! We’ve been under NDA for so long I feared we may perish! 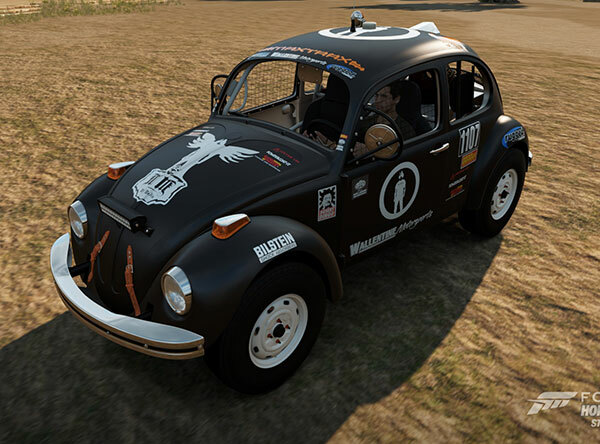 It’s official that 1107 is in Forza Horizon 2 from Turn 10 Studios. 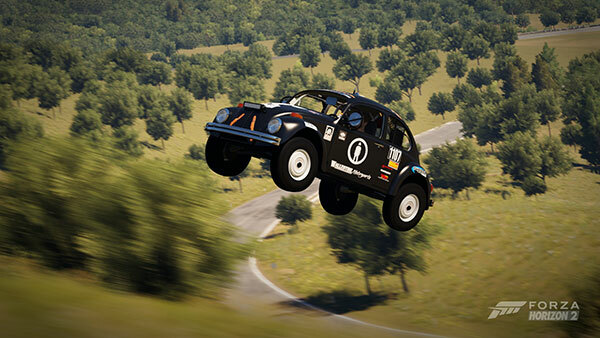 FH2 has sold more than 1.4 million copies worldwide and we are part of the the March DLC car pack that also includes one from some guy named Turner Foust. When Turn 10 first contacted us and said they were interested in having 1107 in the game I was like “Why on earth would anyone want to drive it when you can drive a Ferrari?” but they said “Trust us” and we did. 1107 looks more perfect than it ever has in real life and most of our sponsors gave the green light to have their logos included on the car. It handles pretty much like the car does in real life (like a loaf of bread) and the only thing missing is the smell of burning oil. Response from FH2 players has been pretty good. And here’s a gallery of shots of the car.